→ New! 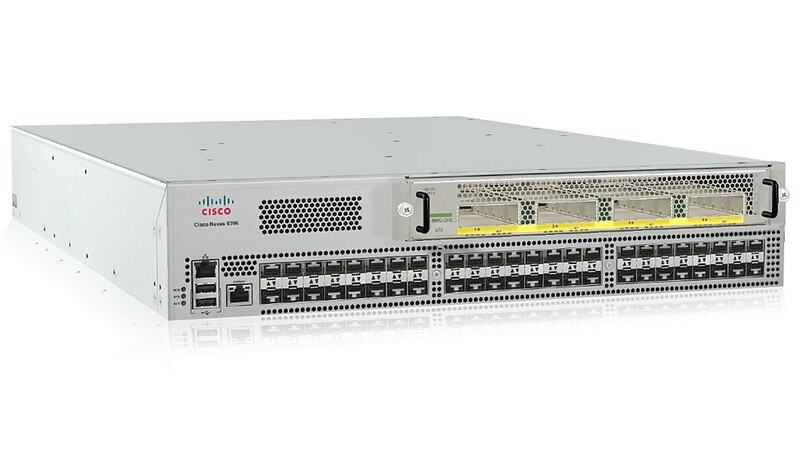 Cisco MDS 9132T 32G next-generation switch provides high-speed Fibre Channel connectivity from the server rack to the SAN core. Accelerate your business with proven data storage solutions designed to reduce your costs and increase your profits. Discover more! 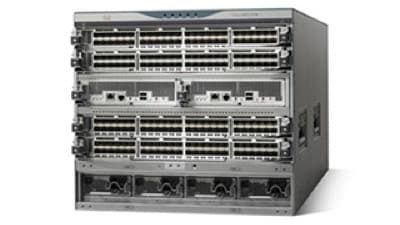 Gen 5 and Gen 6 Fibre Channel switches, directors, and extension appliances. You can start small and scale to thousands of devices, connecting tens of thousands of applications to network storage. High-performance and scalability at an affordable price. Choose from enterprise SAN directors, mid-range SAN switches, and an entry SAN offering for cloud-scale applications. Deployed in large-scale storage networks to enable enterprise clouds and meet the needs of large virtualized data center storage environments. Deployed in enterprises that require increased capacity, greater throughput and higher levels of resiliency. Meets relentless growth and critical application demands. Deployed in large-scale storage networks to enable enterprise clouds and deliver a high performing and reliable FICON infrastructure to support IBM z servers. Deployed in small to midsized storage networks that can support enterprise clouds. Layers intelligent features onto a high-performance, protocol-independent switch fabric. Advanced Fibre Channel switching infrastructure offerings provide the foundation for reliable, scalable, high-performance storage with enterprise connectivity options. 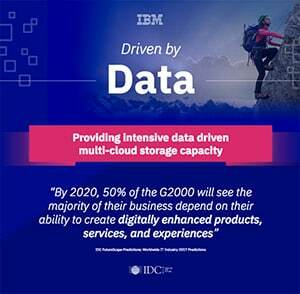 Designed for hyper-scale virtualization, larger cloud infrastructures and flash-based storage. Delivers b-type Gen 6 Fibre Channel technology. High-density, purpose-built, foundational building block for large and growing SAN infrastructures. 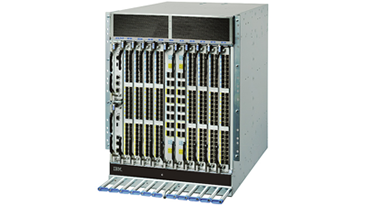 Delivers Gen 5 Fibre Channel technology with 16 Gbps performance. 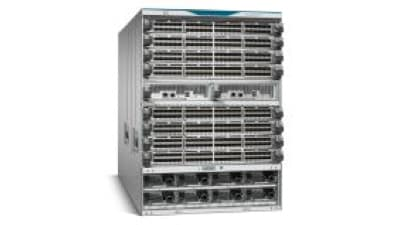 Next generation of the powerful, dense and reliable Cisco MDS Series combines high performance, flexibility and cost effectiveness in a two rack-unit (2RU) switch. Designed for hyper-scale private or hybrid cloud storage environments. 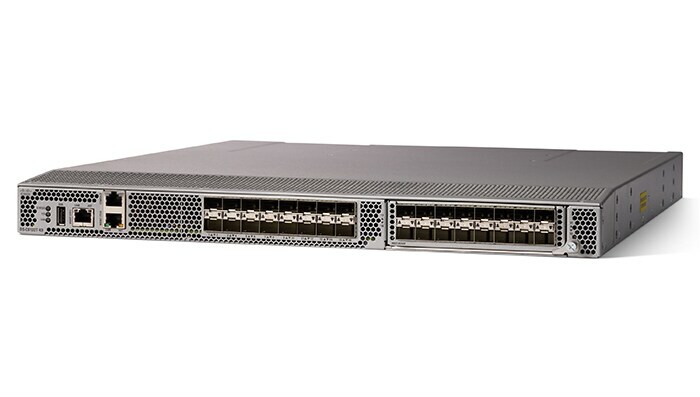 Delivers Gen 5 Fibre Channel technology with 16 Gbps performance. 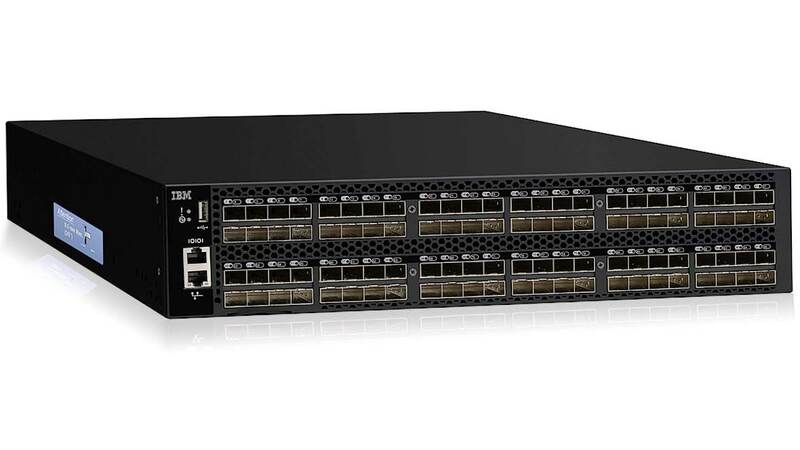 Next generation of the reliable, flexible and low-cost Cisco MDS 9100 Series combines high performance with exceptional flexibility in a one rack-unit (1RU) switch. Next-generation switch empowers organizations that are rapidly deploying cloud-scale applications using highly dense virtualized servers, by providing higher bandwidth and consolidation. Designed to benefit both small-scale and large-scale SAN deployments, it delivers outstanding flexibility through a unique port expansion module that provides a cost-effective, field swappable port upgrade option. High-performance 4, 8, 16 and 32 Gbps combined with point-and-click simplicity, enterprise-class functionality and low-cost access to Gen 6 Fibre Channel. Designed to meet the needs of highly virtualized, private cloud storage environments with outstanding price to performance value, flexibility and simplicity. 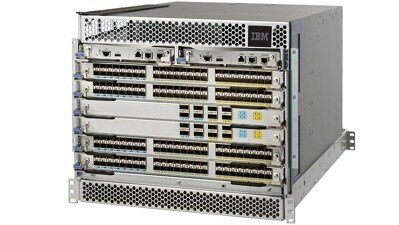 Designed specifically for high performance and scalability in small to midsized SAN environments. Supports server virtualization. Optimized platform for deploying high performance SAN extension solutions, distributed intelligent fabric services, and cost-effective multiprotocol connectivity for open systems and mainframe environments. Addresses the most demanding disaster recovery needs. Maximizes performance over WAN links with 16 Gbps Fibre Channel, 1/10 and 40 Gbps ports. Easily scales with capacity-on-demand upgrades. Leverages advanced Fibre Channel and Fibre Channel over IP to provide a fast, highly reliable and cost-effective network infrastructure for remote data replication, backup and migration. Realize the full value of your data with an agile software-defined solution that's intelligent at its core - Discover IBM Storage solutions!